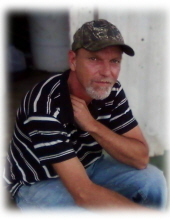 Jimmy Lay, age 58 of Williamsburg, Ky., passed away Thursday February 7, 2019 at Baptist Health Corbin. He was born June 21, 1960 in Jellico, Tn. to Hattie Starrett and the late Levi Lay. Along with his father he was preceded in death by 3 brothers; Eugene Lay, Romie Lay, Levi Lay Jr.; 1 sister Mattie Lay. He is survived by 3 daughters; Krystle Lay of Williamsburg, Ky., Miranda Combs (Eric) of Nicholasville, Ky., Cassidy Withrow (Trent) of Williamsburg, Ky., 3 grandchildren; Logan Combs, Danny Combs, Denver Withrow, his mother; Hattie Starrett of Holland, Mi., 5 sisters; Retha Howard of Rockholds, Ky., Tammy Starrett of Phoenix, Az., Nancy Engle (Ralph) of Melbourne, Ky., Linda Starrett of Holland, Mi., Thelma Murray of Williamsburg, Ky. several nieces, nephews and a host of relatives and friends to mourn his passing. Memorial service will be 2:00 pm Monday February 11, 2019 at 17th Street Christian Church in Corbin, Ky with Rev. Willie Jones officiating. To send flowers or a remembrance gift to the family of Jimmy Lay, please visit our Tribute Store. "Email Address" would like to share the life celebration of Jimmy Lay. Click on the "link" to go to share a favorite memory or leave a condolence message for the family.